Linwood Veterinary Services has been in business for more than 20 years, focusing on food animals (dairy cows, beef cows and sheep/goats). We provide a variety of services and products to enhance the production and care of our client’s animals. 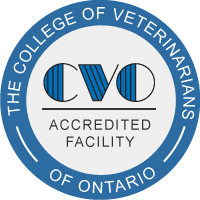 In addition to many traditional veterinary services, we offer our clients preventative medicine programs, embryo transfer, pharmaceutical delivery, milk sample pick up and testing, milk culturing, and manure sample pick up and testing for all clients. We also provide ultrasounds. Meet our skilled and friendly team of veterinarians and support staff, and don’t hesitate to contact us to learn more about how we can care for your animals. When you need our veterinarians, we're here.